You are cordially invited to our online discussion on the topic of Debriefing after Negative Outcomes taking place on Thursday, March 8, 2018, 14h00 – 15h00 eastern time. The discussion will be moderated by Wellness Committee member Dr. Melody Ong and led by Dr. Albert Wu, a renowned international expert on addressing the effects of negative outcomes on physicians. Dr. Wu is a faculty member at the Johns Hopkins School of Public Health and practicing general internist. He’s a leading researcher on the topics of patient outcomes and quality of care and has studied the handling of medical errors since 1988. He coined the term “second victim” to describe clinicians who commit errors, acknowledging the significant emotional impact that errors can have on the clinicians involved. Subsequent research has shown that involvement in an error adversely affects providers’ emotional health and job satisfaction, and increases risk of burnout. 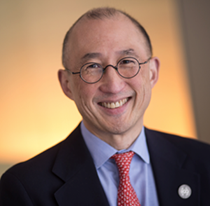 Dr. Wu has published a number of influential papers, including “Do house officers learn from their mistakes” (JAMA 1991) and “Medical Error: the second victim” (BMJ, 2000).